As an exhausted mother, I need a serene and calming space to call my own (yet as I type, I have one child on my chest, one in the bed and one on the floor!!) . 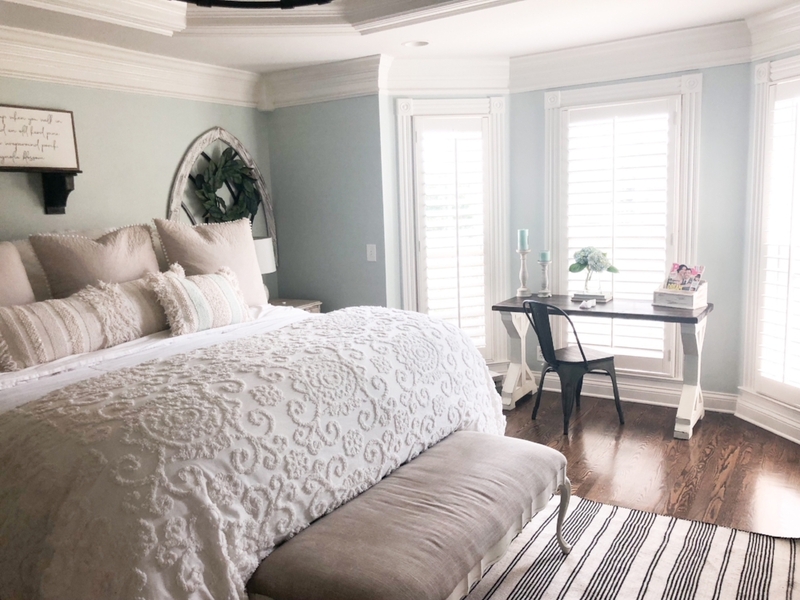 In designing my master bedroom, I selected a mix of whites, ivories and neutrals to create a room with a traditional, slightly coastal/farmhouse feel. After posting a few master bedroom photos on Instagram, I received a lot of questions about where I got this duvet. Although its now sold out on Joss and Main, where I originally got it, the EXACT SAME three piece set is on Amazon for cheaper than what I purchased it for. The Harbor House Suzanna 3 piece, light weight duvet is what I have folded at the end of my bed. You can use it as a throw as I have done or make it your main bedding! 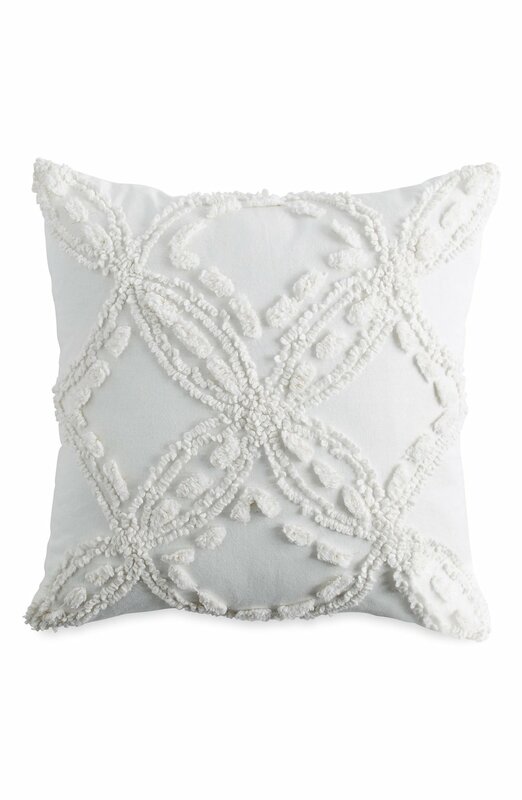 I love the tufted, embroidered swirls...its adds just the right amount of texture and pattern without being too bold. 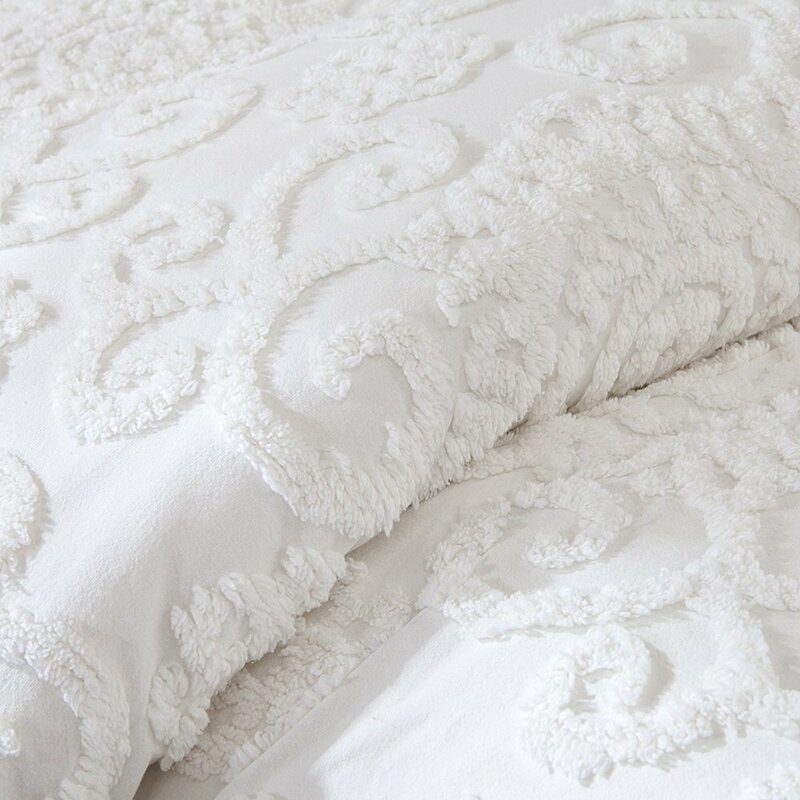 This duvet can work with so many styles too because its a neutral design that can compliment any room. The Harbor House duvet is layered on top of my main duvet, the Madison Park Delancy Duvet. This is a copy of the very expensive Pottery Barn duvet and half the price! (I can't tell the difference in quality and I have owned both.) Although I'd like to imagine that I get a restful night's sleep each night, truth be told, I usually have one to three toddlers in my bed. Sticky fingers, sippy cup spills and potty training accidents happen from time to time so I need something I can quickly throw in the wash without having to take to a dry cleaners. This duvet gives me that classic coastal or farmhouse feel and is family friendly too! DECORATING TIP: Layer multiple light duvets for the stylish, fluffy and comfort styled beds you see in magazines and catalogs. Don't be afraid to mix and match whites, ivories and neutrals. 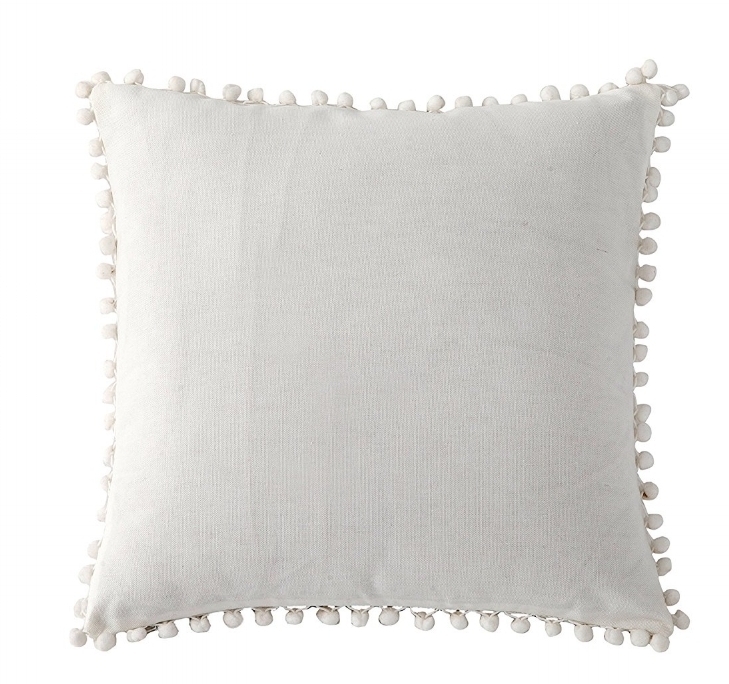 I added three of these Lala + Bash Elodie Pom Euros at the top of the bed for added comfort and style. 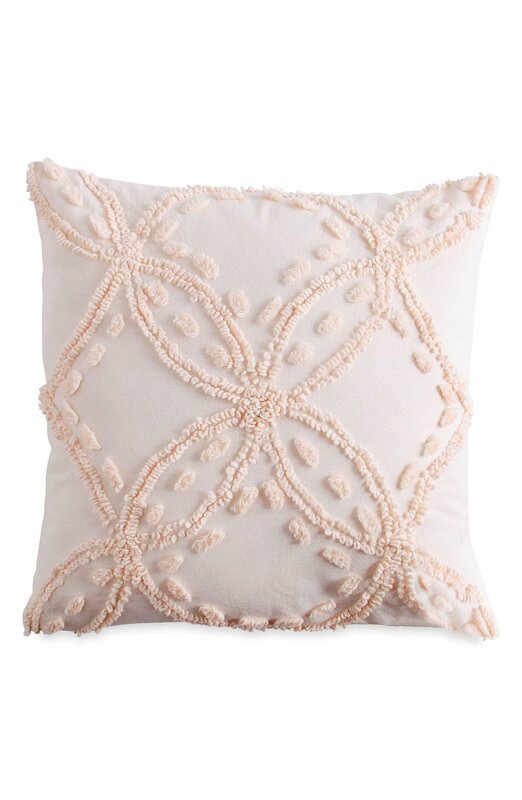 I also love this Peri Home Chenille throw pillow from Nordstrom!!! I have these all over my home because they come in three great colors and really add some style and pop to beds and couches.